Know any HIIT aces who struggle to run a mile? How about a marathoner who can't nail a box jump? The difference might lie in the makeup of their skeletal muscles. People have two general types of skeletal muscle fibers: slow-twitch (type I) and fast-twitch (type II). Slow-twitch muscles help enable long-endurance feats such as distance running, while fast-twitch muscles fatigue faster but are used in powerful bursts of movements like sprinting. Fast-twitch muscles break down into two categories: moderate fast-twitch (type IIa) and fast-twitch (type IIb or IIx). Moderate fast-twitch muscles are thicker, quicker to contract, and wear out more rapidly than slow-twitch. Fast-twitch, the most powerful and lowest in endurance, are activated when the body nears maximum exertion. Here's how it works: During aerobic exercises such as running or swimming, slow-twitch fibers are the first to contract. When the slow-twitch fibers become tired, fast-twitch fibers begin to take over. There are significant benefits to working to the point of temporary fatigue—and therefore making sure fast-twitch fibers have been recruited. For instance, if you're looking to increase muscle mass, and improve strength, using fast-twitch fibers is the only way to do it. On the other hand, aerobic exercises, those that mainly use slow-twitch fibers, can increase stamina and the oxygen capacity of your muscles, allowing the body to burn energy for longer periods of time. A high proportion of slow-twitch fibers has also been associated with low blood pressure. 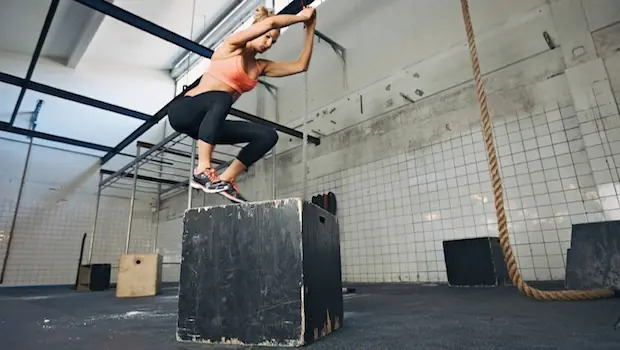 Previous research has also shown that women may have a greater distribution of type I muscle fibers and lower distribution of type II muscle fibers than men.